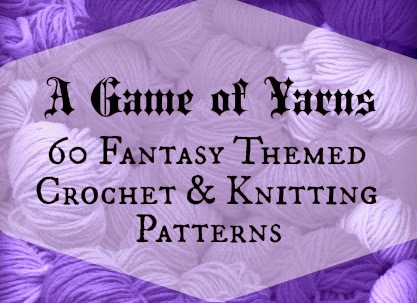 Here is a round up of fantasy themed patterns to knit and crochet. Most of these are based on Game of Thrones, but all would be perfect for you fantasy gamers out there. If you are looking for more Knitting Patterns check out the 50 Must Try Knitting Patterns from The Knit Wit by Shair. And be sure to check out our round up of 72 Gaming Patterns to Knit & Crochet for all things gaming related. Love this!! I'm just learning how to crochet and knit, so these will come in handy!